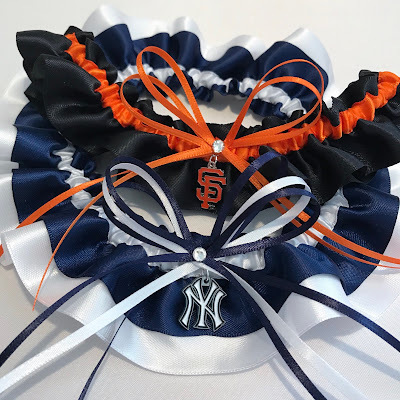 I shipped out a handful of Major League Baseball garters last week, and couldn't resist taking a few pictures before I boxed them up! The New York Yankees are my bestselling team, but the San Francisco Giants are pretty popular too. Which MLB team do you root for? Find these baseball garters and more in the sports themed section of my shop!